Dirty Yard Birds... - Ramblings of Mad Shutterbug & the Border Collie Bros.
Two of the three hens currently 'free ranging' in with the goats in their pole barn. I particularly like the colours of the hen in the foreground. On a side note, it is quite amazing the dent three hens may make into a mosca domestica population. To Dones: feed run with assorted other supplies (light) and petrol to the pickup truck, feed stowed, laundry started, AC window unit for Herself's Cottage cleaned out and fan lubricated (thereby functional again), chicken chicks delivered/picked up by friend for her mother. To Does: more laundry, move the rain pavilion back to the Adolescent Doeling pen so they've better shelter from upcoming (hopefully) rain, and more post-production photography work. We'd moved the pavilion so that goats in the holding pen (for sale) would have shade. Purchaser did not show, goats went back into the paddock therefor able to find shade when desired. Pavilion to move as described. Ah, swimming. I would probably kill someone right now if it would make a swimming pool magically appear in my back yard. Birds do look incredibly saurian. I don't notice it all the time, but then sometimes a pose makes it clear. When I lived on Alki Beach and we had hundreds of Canadian geese raising chicks there, it was really obvious: the adolescent chicks look like small velociraptors, and sometimes behave like them, too. 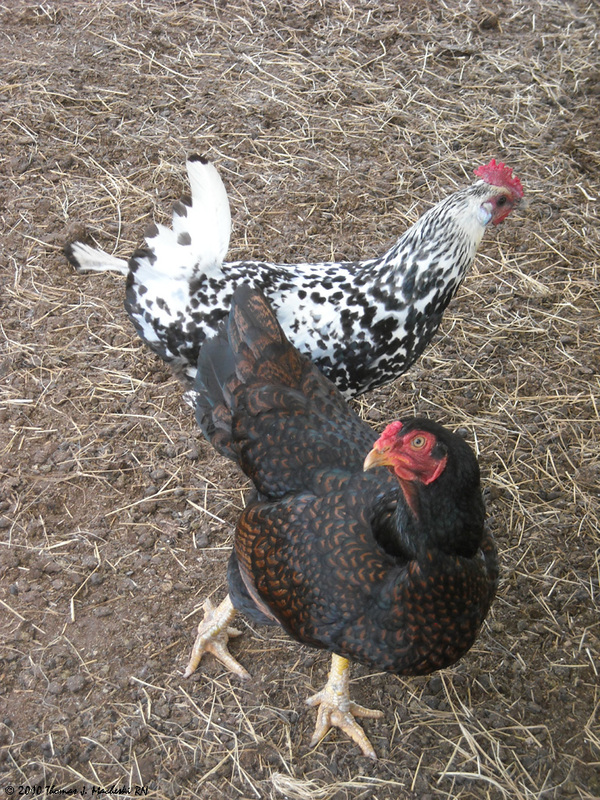 Even the adult chickens demonstrate the type of behaviour, particularly when a flying insect comes into target range. It can be hilarious watching a small flock of them chasing something. That is, until I picture them large enough to be chasing me that way. And... thought I'd posted this already this morning. Maybe I clicked off before posting or it didn't take. Maybe I need more coffee. And you KNOW if they were big enough, or you were small enough, they'd have no compunction about snapping you up. Beautiful hens, yes especially the one in the front. I love her feathers!